And I love pizza, particularly when it’s made for me. I even had 34 cents of olives to keep me happy. 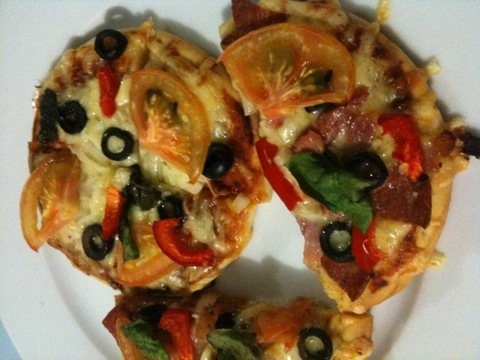 It’s a bit of a pain that the Mister won’t eat olives, but he loves me enough to put them on my pizzas because I love them. I have been known to polish off a tin of olives before they got into whatever I’m cooking. So I’m afraid I don’t know what was in these pizzas. The only technique was “a little bit of this, and then a bit more, and then some more until it looked good”. I was busy catching up on my EA sports work out challenge. Being unwell I missed 3 workouts so I did them all at once. I now have the program down to a pretty decent cost per use (well under the cost of a gym membership). I love my body. It does most things I ask it to, even if it does creak and crack. I’m just acutely aware that we’ve both put on a bit of relationship weight. Probably because we’re eating so well! So I’m trying to move a bit more, eat a bit better, and drink a bit less. I sleep better and am happier, less stressed and more positive when I exercise. All good things considering everything that is going on in my life at the moment. And if my clothes fit a little better that can only be a plus. 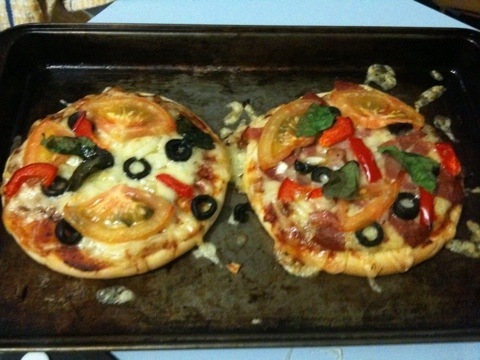 So mini pizzas, with bacon, onion, cheese, olives, basil, salami, and possibly some other ingredients. Yummy. 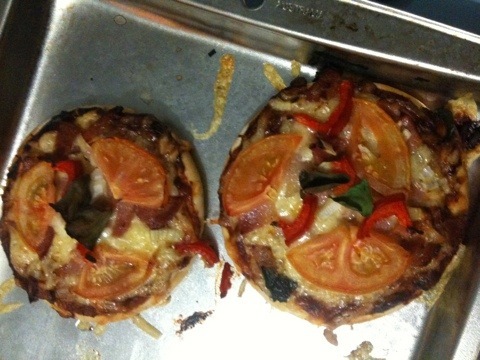 I just made mini pizza’s with my students at work. 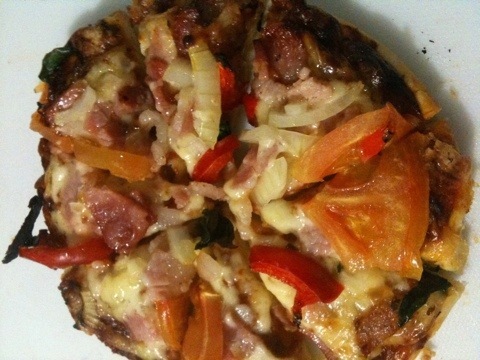 I love a grade 2’s idea of how a pizza should look and taste. I made my own. It’s all fun. my grade 2 self’s version of a pizza would definitely have a lot of cheese and not much else.